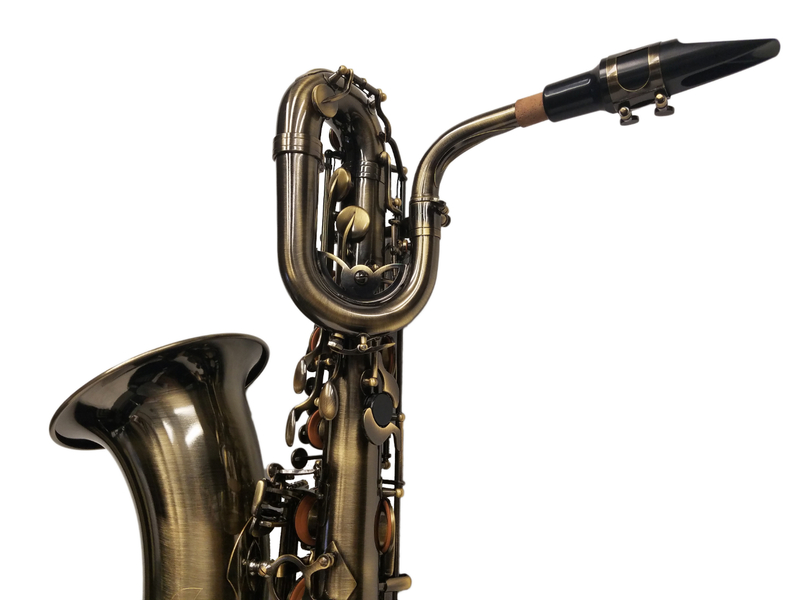 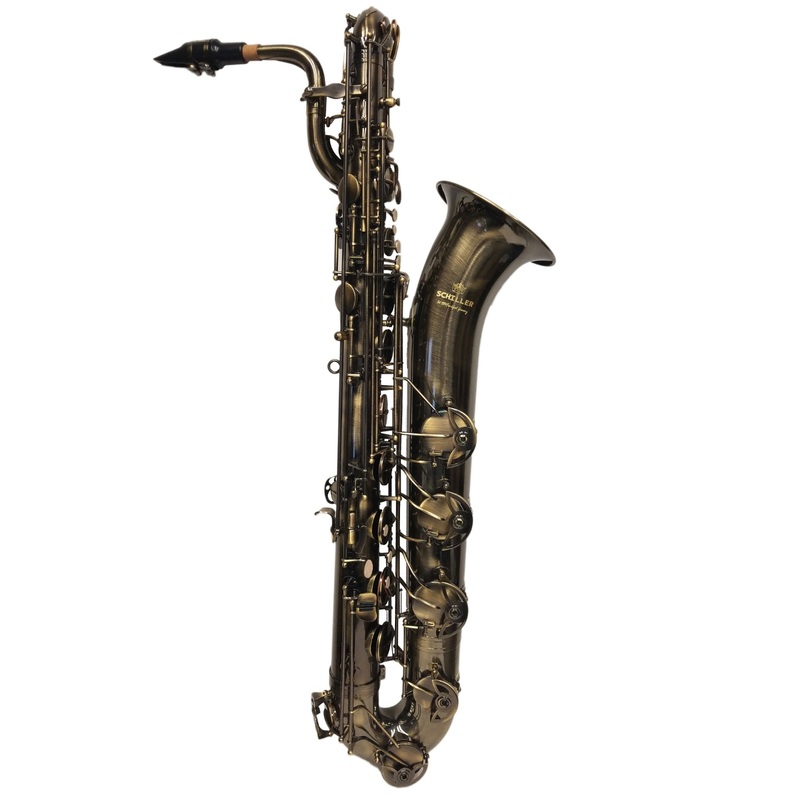 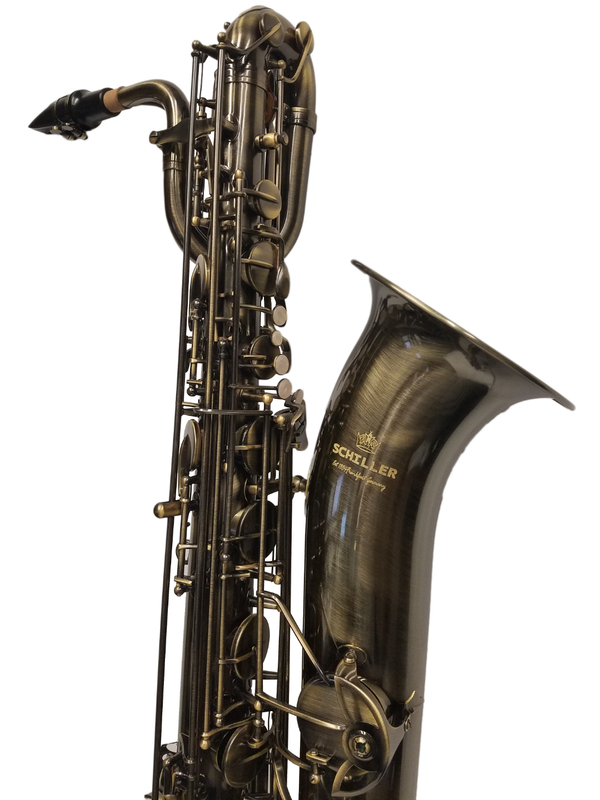 Schiller 400 High Performance Baritone Saxophone. 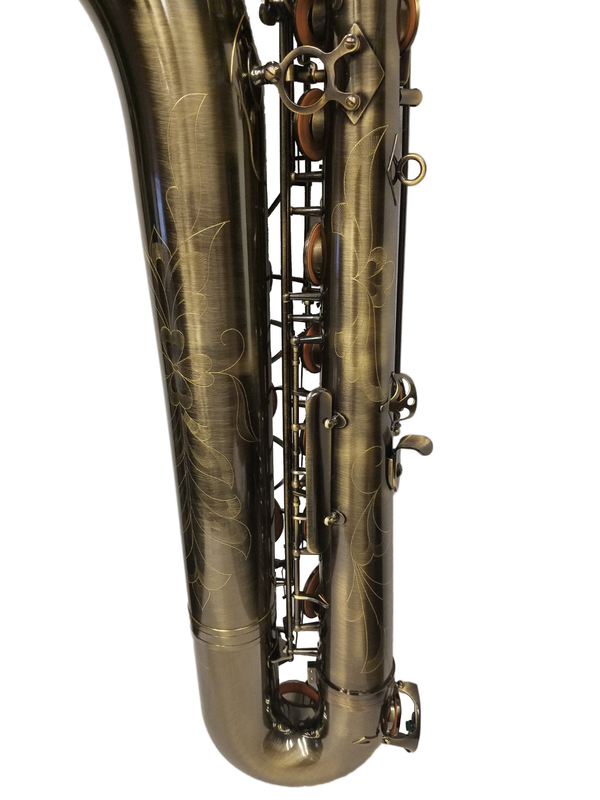 Turkish Brass Finish with Pearl Keys. 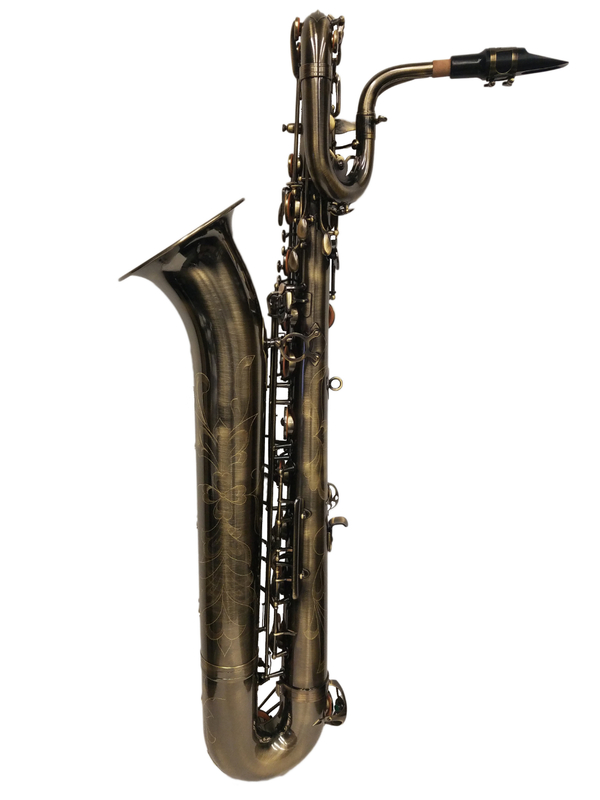 Rich tone and Big Projection Neck Pieces.